Located in Oxenford north. $260 includes: rent, power, water and WiFi. 1 x "WEEK FREE RENT" to assist in the move. Attached to main house. Semi furnished. Size is 6 meters x 6 meters square. Main living. 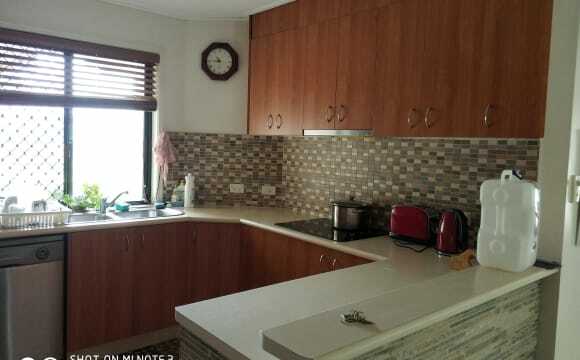 Size kitchen/laundry room is 3 meters x 1.7 meters. Size of courtyard is 5 meters x 1.9 meters wide. All brand new renovated appliances and carpets. 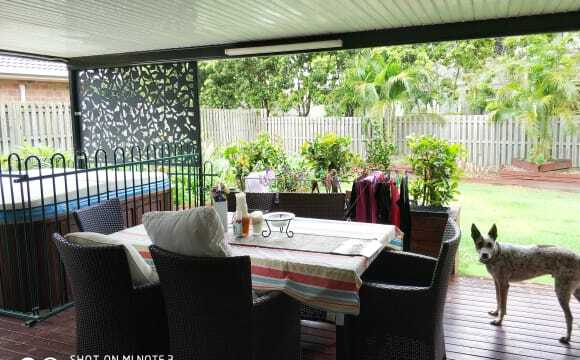 3 bedroom house in Oxenford with a big shed and great entertaining areas. Really close to Coles and Helensvale wesfeild. $200 a week plus bills. I get the house on May the 16th so can move in any time after that. 2 Rooms completely private with separate entrance. Bedroom with private bathroom and separate toilet. The second room is a private living area with own fridge. Shared kitchen and laundry. Our home is in the beautiful Riverstone Crossing estate, Maudsland (close to Oxenford ). Our estate has 24 hr security patrol, club house with swimming pools, gymnasium, tennis court, sauna, basket ball courts. We live across from a park with a public barbecue. We are looking for one non smoking, quiet, single, full time employed mature person who appreciates their privacy. Rent includes all outgoings including electricity, water, fast internet, club house facilities including gym, pools, sauna etc. Must be seen to appreciate. Easy pushbike or bus ride to Helensvale Rail Station, Westfield Shopping Centre and Movieworld. The single room has a small built in robe and a shared bathroom with one other person. 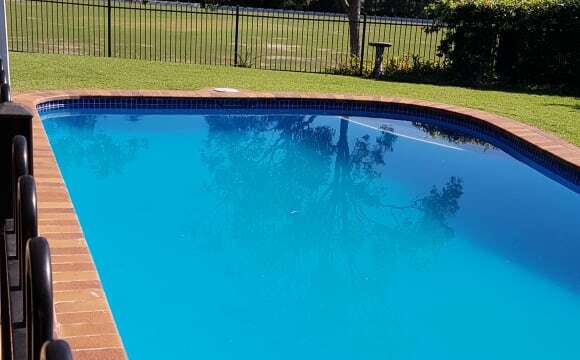 The property is also attached to a self contained granny flat which my mother and 2 brothers (her carers) reside in, so the pool area is shared. We back onto parkland in a very quiet neighbourhood. Under cover parking available. Its close too everything, in the heart of the Goldcoast! 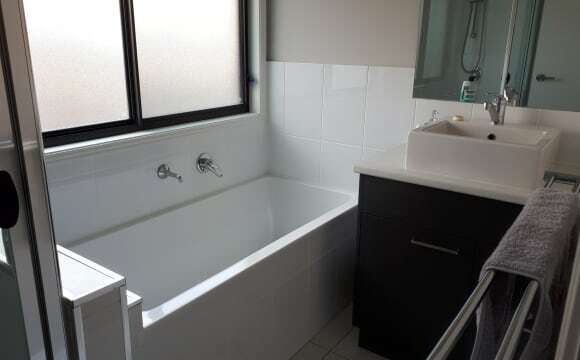 Nice and clean, close to shops, bus stop 1 min walk from the house. 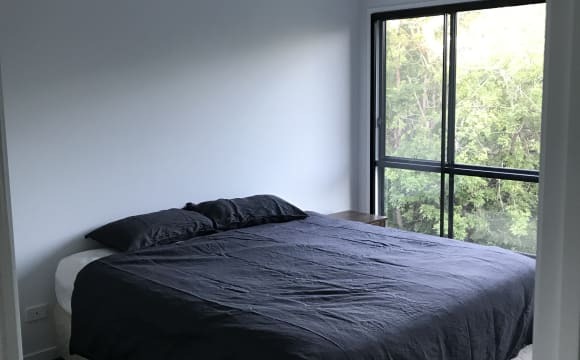 This is a large 650m2 house on 1 1/4 acre block and has lots of private areas to relax in if you are looking for some alone time and don't want to hang out in your room. We also have Foxtel, Netflix, air-conditioning, Theatre and Outside 6 person Spa. You have the choice of two rooms which are large 4.0 x 3.2 and 4.5 x 3.6 both with built in robes included. We are on a canal in a lovely modern spacious 4 bedroom, 4 bathroom, 2 storey home and have a pontoon and 2 kayaks for use. Large swimming pool and under cover, outdoor BBQ kitchen in an alfresco area. 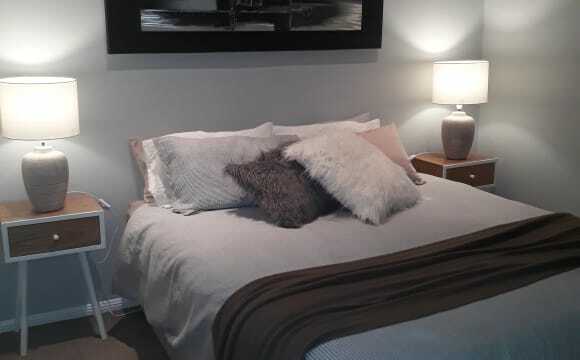 Air con, Foxtel, NBN We are close to the theme parks, buses and trains as well as large shopping centres. 40 minutes from Brisbane and 20 minutes to Surfers Paradise, Burleigh Heads, etc. We enjoy a clean home and a relaxed lifestyle. easy going and enjoy a laugh. We respect peoples privacy. Close to shops, bus stop and a short drive to train station and Westfield. Quiet location, 4 bedroom, 2 bathroom house to share with a couple. Large, open- plan living area. Pool, bbq and large outdoor entertaining area. Can be fully furnished or unfurnished, your choice. Off- street parking available, air- conditioning to common areas. Unlimited wifi, Netflix and Foxtel included in rent. Water and electricity also included in rent. Private room and bathroom. Property includes a large pool and backyard with bus stops and tram/train station very close by. Rooms are fully furnished: single bed, desk, office chair, bedside table, shelves, built in wardrobe and ceiling fans. Close to shops (Westfield) and restaurants. The house is approximately 9km away from Griffith University, with a 10 minute tram ride to the University. QUIET AND PEACEFUL. Not far from the LARGEST SHOPPING CENTRE in the southern hemisphere. Will only be three living here. 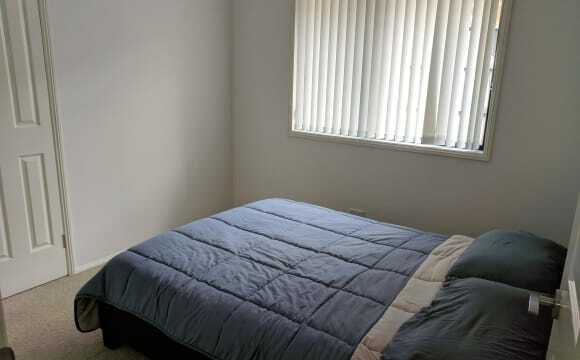 Will rent out my large MASTER ENSUITE WITH LARGE WALK IN ROBE FOR $225 All bills included. Or choice of 2 other large size rooms with built in robes and ceiling fans. Close to all shops, public transport and library etc We have the highest speed unlimited nbn. Big screen tv for the movie night. Netflix Bbq. Good size yard. Share bathroom. The house rules are be clean and tidy ( no slobs ) respect other people and their privacy and property. If you do smoke it will be outside ( non smokers preferred ). DEFINITELY NO ALCOHOLICS, OR DRUG USERS ! Great place, clean people, drama free. CLOSE TO EVERYTHING. NOT A PARTY HOUSE ! Open plan 3 bedroom house, spacious with an outdoor area. In a quiet location - a few minutes to Coles, nestled between Upper Coomera and Oxenford shopping centres, 5 mins to Westfield Coomera. Many gyms and walking tracks nearby. Easy access to the M1 to visit Brisbane or the Gold Coast. 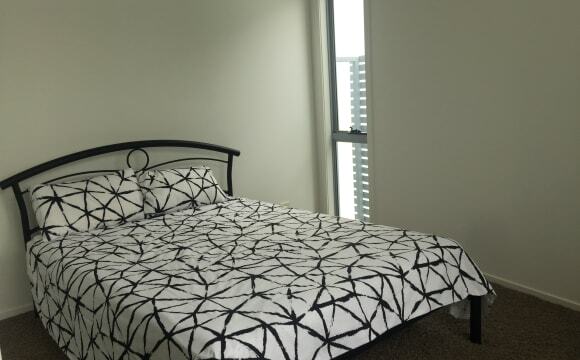 Close to transport - walking distance to bus stop and Coomera train station is 5 mins away. I have two bedrooms available for rent; BEDROOM 1 - Main bedroom with ensuite. Large in size, recently renovated with TV and air-conditioner and a 3 door built in cupboard providing heaps of storage space! - $230 inclusive. BEDROOM 2 - A good sized room, recently renovated, with built in cupboards (2 door) and air-conditioner. 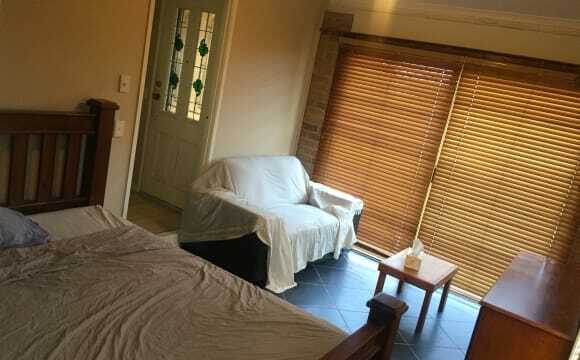 Situated next door to main bathroom for occasional sharing with myself (house owner) - $210 inclusive. 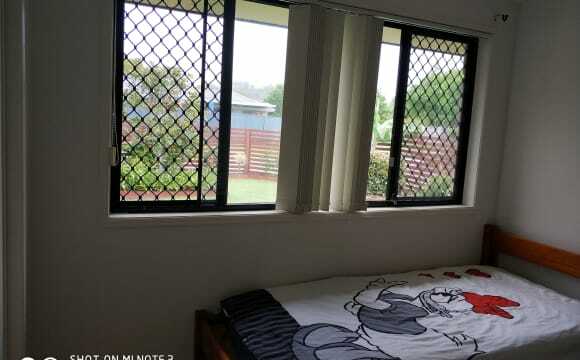 Rooms for Rent Coomera Bargain price Won’t Last! Nice and quite. Walking to Coles and close bus stop.5mints drive to train station and coomea big shopping center. Nice quite. walk to shop Coles and busstop. 5mints drive to coomea train and big shopping .close gym library. Nice and quite , walk to Coles and library. Bus stop just off the street. 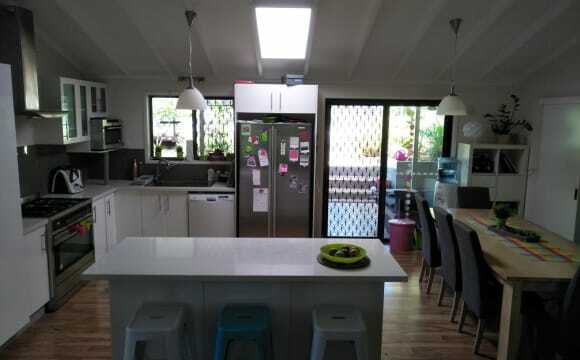 5mints drive to train station and coomea Westfield . Close Coles and bus.5mints drive to trian station and big shopping coomea. Nice clean.close to gymand Coles . bus and train. Westfield shopping . The house is a new built in a modern complex overlooking the sugar cane fields and the river. 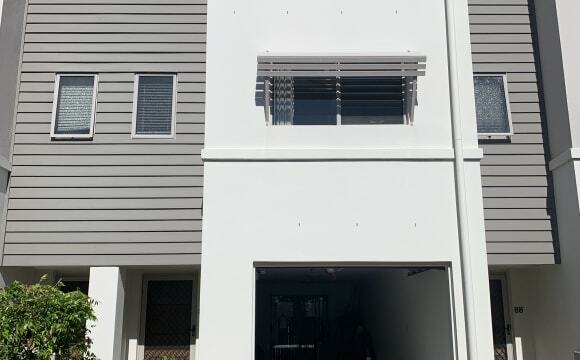 Is spread on 3 levels, 2.5 baths, 3 bedroom (one is an office now) has a lock up garage and off street parking, a spacious deck with hammock and bbq, there are 2 communal pools, shops, a cafe, local IGA and amenities including a pub, a park just 500m away. Also convenient M1 entrance and a new Westfield shopping centre 5 min away.